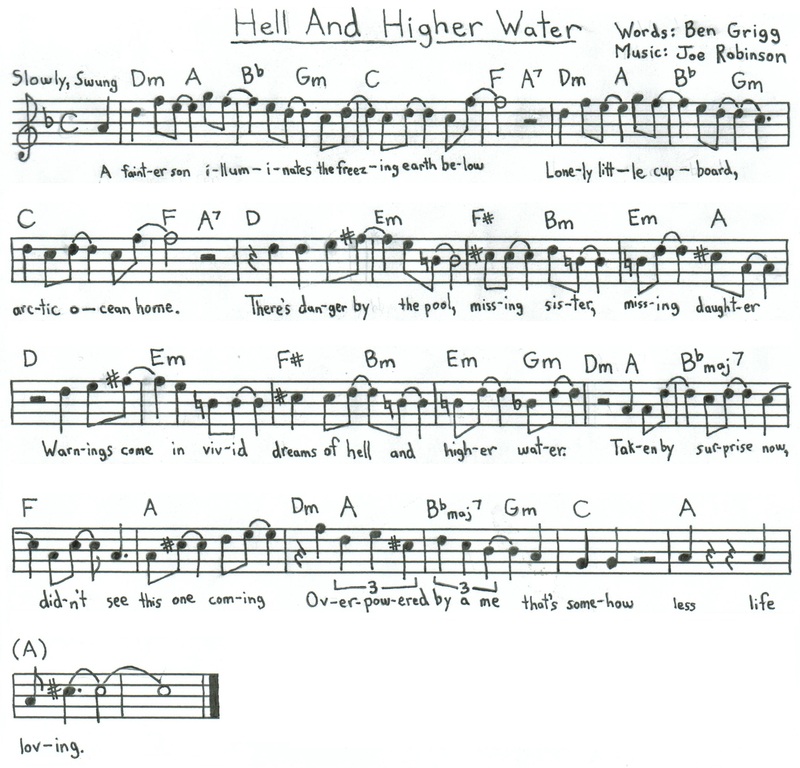 Here featured is a collaboration between poet (and musician) Ben Grigg, and musician Joe Robinson. Ben plays in Chicago band, Geronimo! Learn more about Geronimo! : 1, 2. Lonely little cupboard, arctic ocean home. Warnings come in vivid dreams of hell and higher water. Overpowered by a me that’s somehow less life loving. Download Hell And Higher Water or click below to listen.